A personalised photo card for daddy's birthday. This gorgeous personalised photo card can be created with a photo of your choice, this could be from an event, a holiday, birthday party or just a lovely photo which you'd like to use. 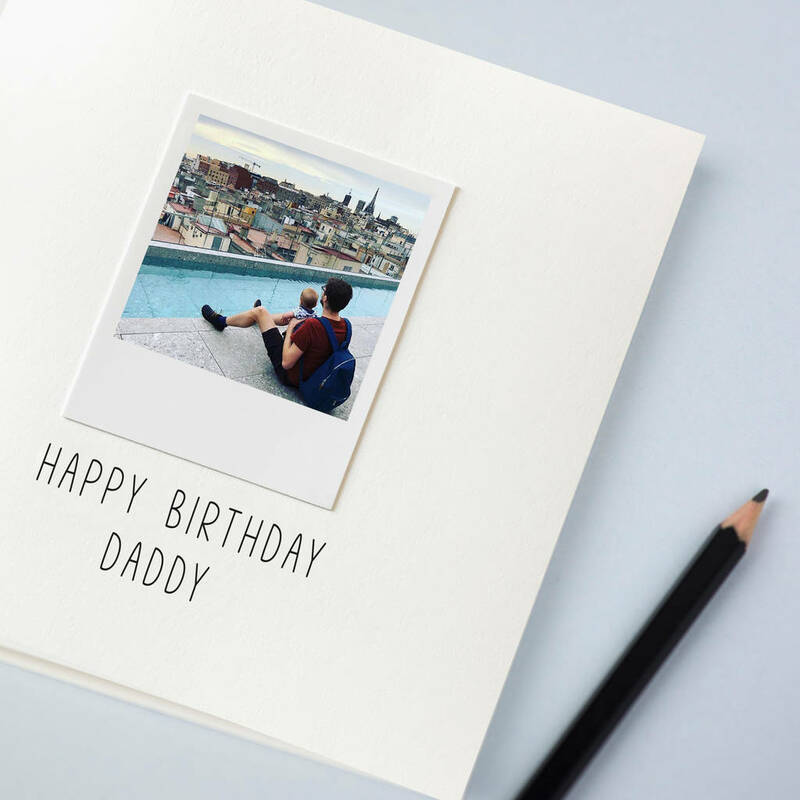 Personalise the card with your own message on the front, it could say "I Love you Daddy" or "For the best daddy in the world" for example. You can enter your personal message in the chosen box provided. 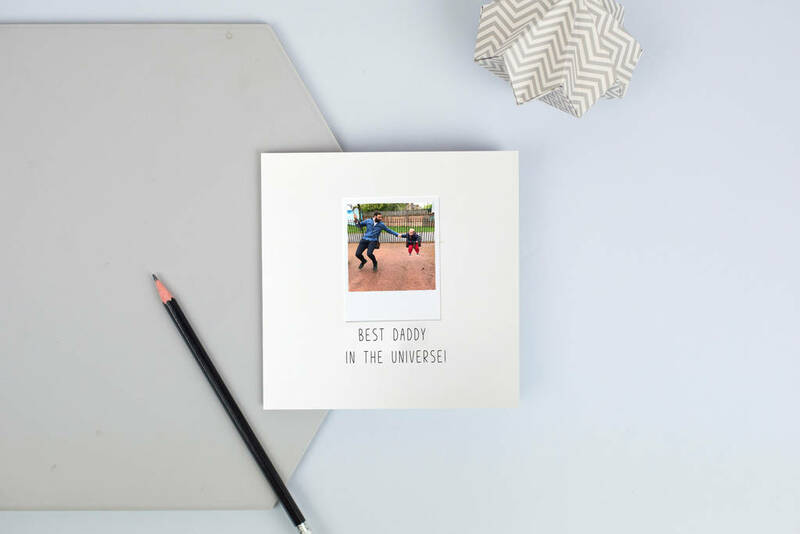 If you like this design but wanted to send a card to someone else such as your grandparents, brother, sister or aunty you can still order through this product and just send the photo you'd like to use and the wording you'd like and we'll make it for you. If you're unsure, please send us a message and we'll respond to you as quick as we can. Once you have purchased the personalised photo card, you'll need to upload your image to Notonthehighshtreet via the order enquiry page. Here you can upload your image, for us to download. Please note the image needs to be 5cm x 5cm, if the one you upload is larger, it will be reduced in size and cropped to fit. You will need to approve a proof of the photo before the cards are dispatched. 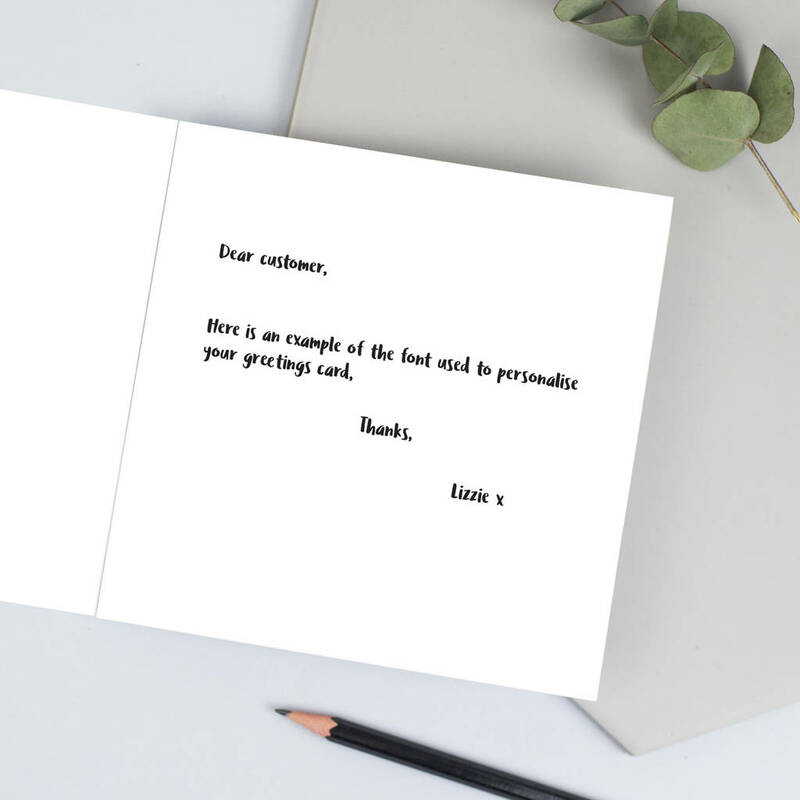 You can also add a personal message inside the card and we can send the card in its envelope (without paperwork) directly to the recipient at the delivery address supplied. Just add your message in the chosen box. 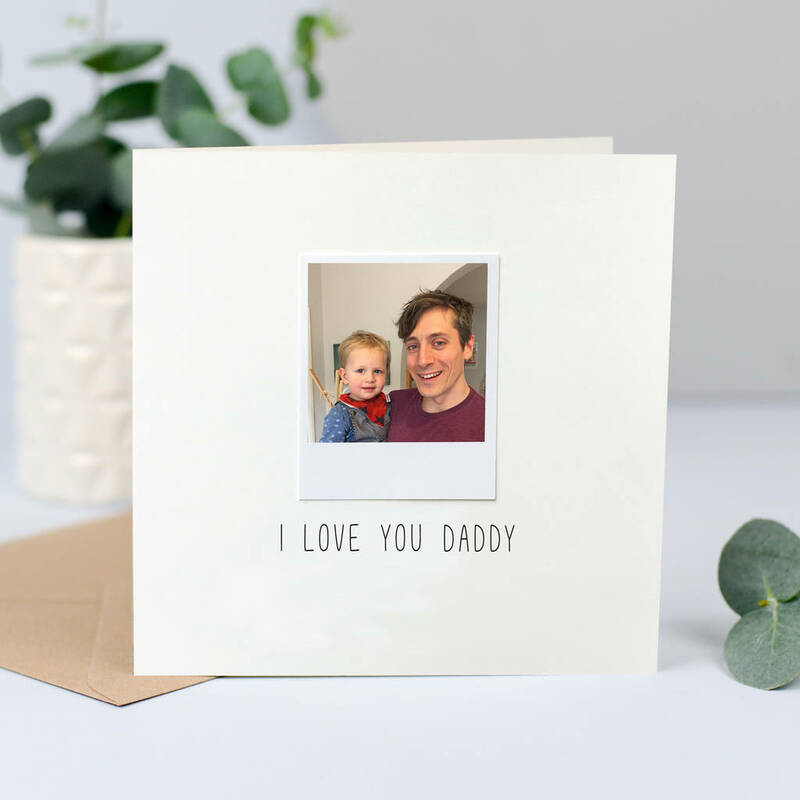 These personalised photo cards are a really personal way to say "Happy Fathers Day" "I Love you daddy" "Thank You" "Happy Birthday" "I Love You" or whatever you like! 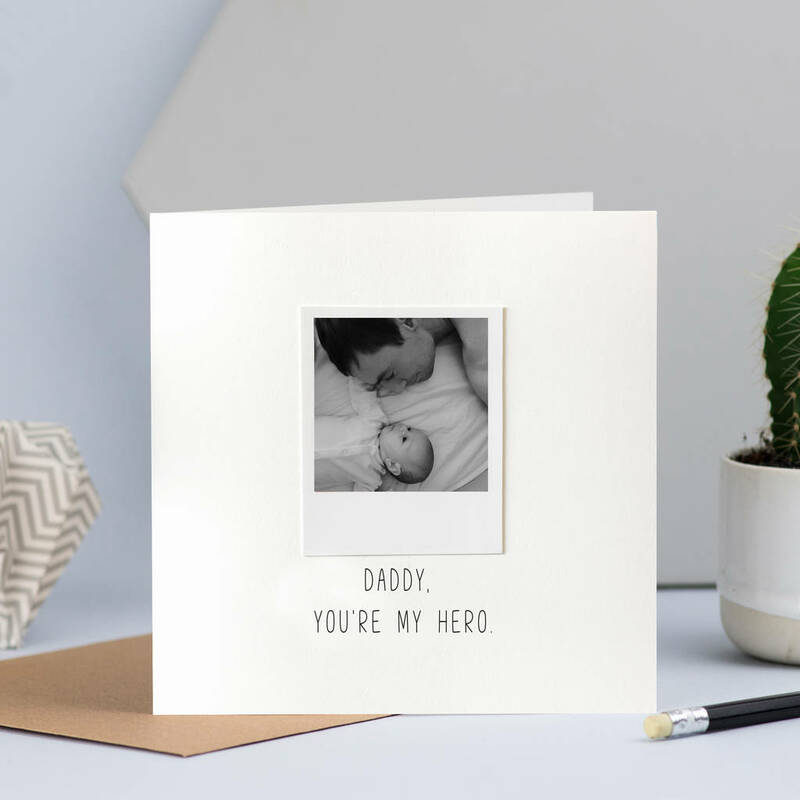 People have sent them as thank you cards with images of their children, or a valentines card with an image of you and your loved one, the choice is yours! Photo paper on thick card, left blank inside for your own message, accompanied by brown fleck envelopes.